Manchester United would likely have to pay as much as £90million to seal the transfer of Leicester City defender Harry Maguire this summer. The Red Devils have made the England international their top defensive target again this year after missing out on him last summer, but would now have to pay even more for him, according to the Daily Star. Maguire makes sense as an ideal fit in this United side, who look in need of better defensive options after unconvincing seasons from the likes of Eric Bailly and Phil Jones. 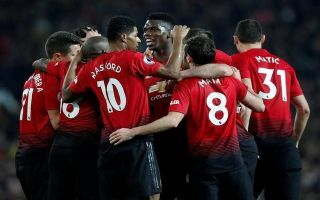 Having shone for Leicester and for England in recent times, it’s clear Maguire would settle quickly at Old Trafford, unlike some other non-Premier League-based targets recently linked with the club. The Independent have linked United with Serie A duo Kalidou Koulibaly and Milan Skriniar, but there’s no guarantee they’d be as good in England as they have been in Italy. Maguire’s defensive quality and strong technique on the ball surely makes him ideal for Man Utd’s style of play, but £90m may well be too much even for one of the best centre-backs in the Premier League.